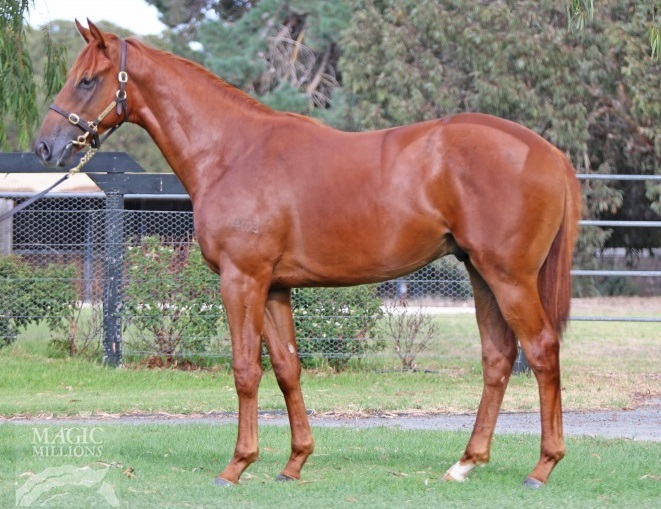 Kavanagh Racing had to purchase this colt the minute he entered the sales ring. Closely related to their multiple Group winner Catapulted, this son of Eurozone is the spitting image. He has already spent some time in the stable at Flemington and has taken to the work load like a duck to water and is bound for a successful sprinting career. To be trained by Mark Kavanagh at Flemington.